Already booked a tattoo session with your chosen Artist? Great! If not, please book your appointment before proceeding with a deposit. You can now secure your booking by paying €50 towards your tattoo. This will only take a while and is very secure, powered by Stripe Payments. 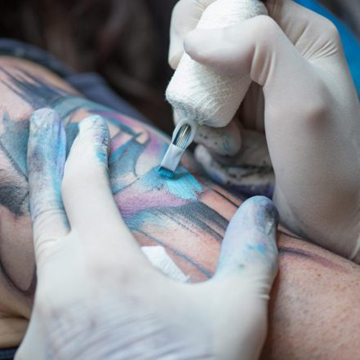 When your deposit is complete, email your payment receipt to hello@theinkfactory.ie and confirm your appointment date, time and chosen artist so we can complete your booking.